The Giraffe was having rest in his hammock with a glass of fresh juice, when suddenly his friend Parrot came and told him terrible news. An evil poacher came to Africa and began catching the poor animals to sell them to the zoo. 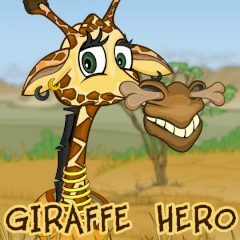 Without wasting a minute the giraffe stood up and rushed to the rescue!